Come join the International Association of Haunted Attractions (IAHA) as we honor individuals (haunters and vendors) who have made a significant and positive contribution to the haunted attraction industry. This event will be held in the Lemp Grand Hall and the evening festivities will include a delicious dinner with full open bar, and recognition awards ceremony. Dinner menu includes assorted domestic cheese appetizers, top round of beef with au jus, chicken breast in champagne mushroom sauce, Lemp Mansion house salad, fettuccine alfredo, cheddar garlic mashed potatoes, green beans almondine, fresh mixed vegetable medley, rolls and butter, tea, soft drinks and full open bar. Attendees are welcome to attend the Creative Visions Industry Party (conveniently located right next door) after the IAHA Awards/Banquet concludes. Transportation to and from the IAHA Awards Banquet will be the same as for the Creative Visions Industry Party (please see below). This event was completely sold out last year so please book your reservations early! Cost: $0.00- yup it�s FREE!! Creative Visions and its scary little sister, Haunt Visions, invite you to see where it all happens� where monsters are made and nightmares come to life. See how one of oldest vendors in the industry dreams up ideas and brings them to life. From design through production we will show you how we create amazing animatronics, attractions and haunt effects. After the show ends on Friday, a Creative Visions shuttle will bring you to our shop for a behind-the-scenes tour of our facility�.complete with snacks, soda and beverages of the alcohol variety. At 9:00 PM, things go into overdrive as we host the Transworld Industry Party, complete with a DJ spinning tunes, free beer/soda and a cash bar�.so come for the tour and stay for the fun!! The Creative Visions shuttle buses will run continuously between the convention center entrance and our shop from 5:45PM to 12:00 AM. The party goes to midnight and buses will bring you back to the convention center. For your free PARTY PASS, contact Creative Visions or Transworld Exhibits. In cooperation with the Columbia Haunt Tour, the International Association of Haunted Attractions has arranged a special, �Last Call� tour of The Necropolis and Fearfest for those wanting to attend the 2nd Annual IAHA Awards Banquet AND also visit two of mid-Missouri�s best haunted attractions. The haunt tour portion of the evening will depart from the Lemp Grand Hall location immediately after the IAHA Awards Banquet concludes (approximately 8:15PM) and will drop off at the America�s Center upon conclusion. Please note that because of time constraints, individuals going on the �Last Call� Columbia Haunt Tour will not be able to attend the Creative Visions/Haunt Visions Party. 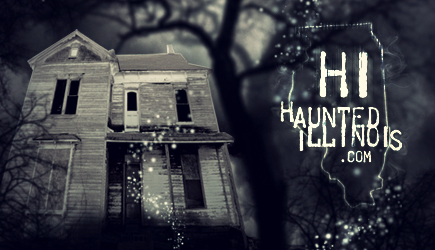 IAHA Banquet/Haunt Tour Combo Tickets are priced at only $45.00 for IAHA members and $75.00 for non-members. Ticket price includes all transportation and admission for both events. This is a tremendous savings over the $65.00 admission being offered for just the haut tour alone! Please note that only 56 IAHA Banquet/Haunt Tour combo tickets are available so be sure your reserve your ticket(s) early to take advantage of this great offer. After you submit your registration form, you will be taken to a payment page where you may purchase your meal(s).